As the winter approaches, snow is sure to be in the forecast. High Point Tree & Fence, located in Kernersville, NC, will be providing snow removal services to the Triad area of North Carolina including all of High Point, Greensboro and Winston-Salem, NC. While snow is what makes the winter such a beautiful time of the year, it can also be dangerous and a hassle to move. Luckily, with the help of High Point Tree & Fence, snow plowing and removal does not have to be a do-it-yourself job. Snow plowing and removal projects of all sizes are welcomed. High Point Tree & Fence specializes in the removal of snow from small, residential driveways as well as large, commercial parking lots. 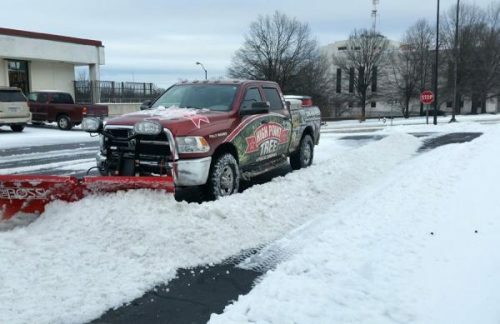 Whether you need snow plowing and removal services for your home or office, High Point Tree & Fence has you covered. High Point Tree & Fence offers snow removal contracts throughout the winter months so that you can be sure your property will be taken care of after every snowfall. Not willing to commit to a contract? No need to worry! High Point Tree & Fence will plow and remove snow from your property on an as needed basis. Reach out to them to receive a free estimate and schedule services whenever you need. High Point Tree & Fence has served the Triad area of North Carolina for over 28 years. They are licensed, bonded, courteous and respectful so you can be confident that your property will be in great hands. Rather than worrying about whether your property will be safe during the winter seasons, reach out to High Point Tree & Fence to be sure that your driveway, parking lot or road will be easily accessible even after the worst winter storms.